Ah, make up- the magical potions and colors that us women slather on our face! For most of us, it's a day in and day out task, with extra slathering during special events. I for one love the process of putting on my make up (it's like an art form at this point) but the aftermath not so much. When I get home, I'm exhausted and the last thing I want to do is take off all that "art" off of my face! Then that little voice inside my head reminds me that removing make up at the end of the day is a must, not only because at that point its mixed with dirt, but it can clog pores and lead to dreaded break outs. 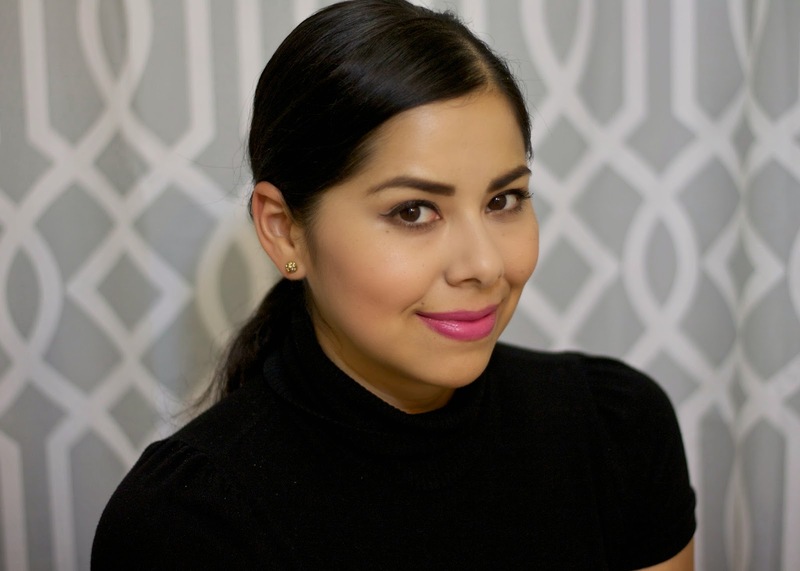 I have an array of techniques I have used through my many make-up wearing years, so I was curious to take on the Neutrogena® Makeup Remover Cleansing Towelettes “Face-Off Challenge” and see how it fared. 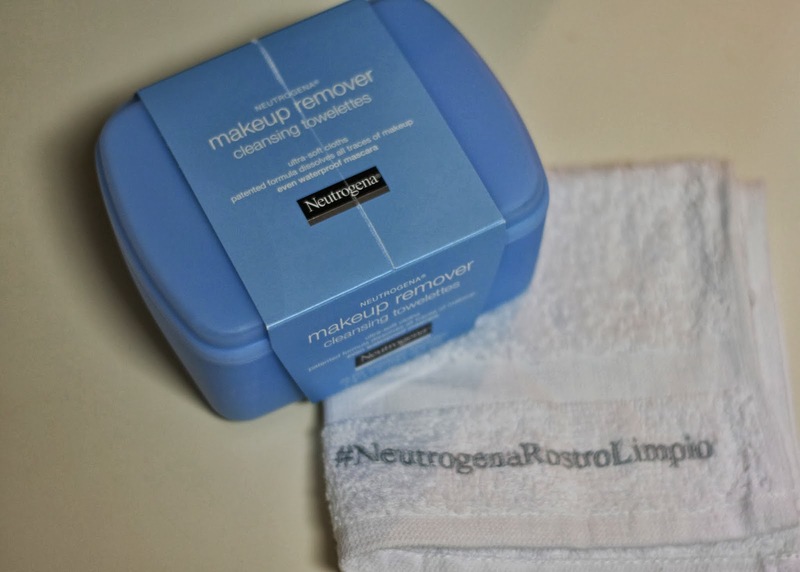 Time to remove ALL make up off of my face using the Neutrogena® Makeup Remover Cleansing Towelettes! 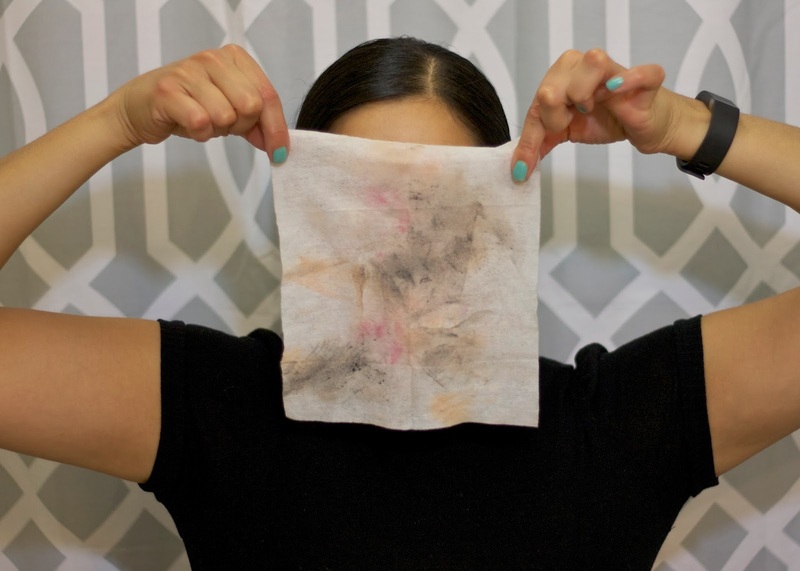 The towelette is moist and works on the hardest areas like my eyes tackling on the mascara, eyeliner and eyebrow shadow, even when I'm wearing my contacts. The final product is a towelette that reveals all of the stuff that sits on my face- eek! 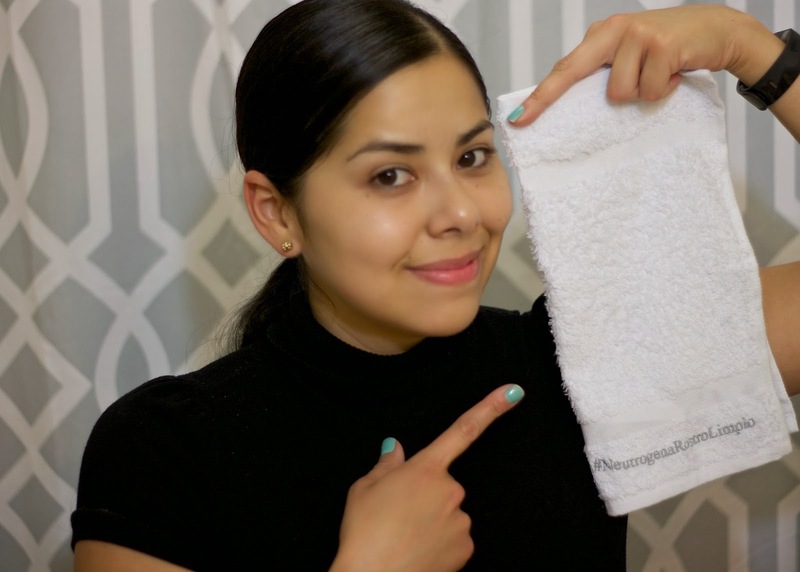 I dry my face right after cleansing with the towelette with this perfectly white towel only to reveal that it remains perfectly white- the towelette has done its job! And yes, that's me without make up- another eek! Not only are these towelettes awesome daily, but they are especially awesome during trips! 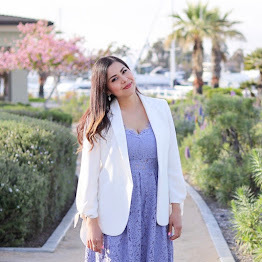 Hope you enjoyed the post and let me know what you think in the comment section below! You look beautiful with and without makeup. You look beautiful and natural without makeup... I'm jealous of your thick and full eyebrows.